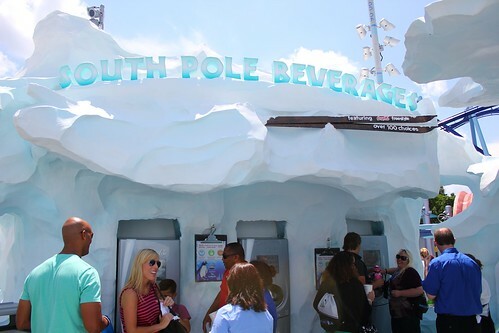 Orlando’s summer just got a whole lot cooler as SeaWorld Orlando showed off its highly-anticipated new realm called Antarctica: Empire of the Penguin. It doesn’t officially open to the public until tomorrow, May 25, 2013, but the immersive new area was fully previewed today, revealing its most impressive features. 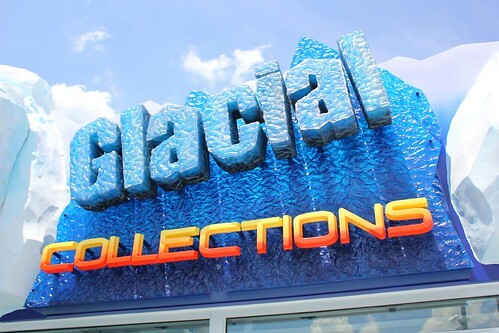 In the video below, SeaWorld’s Brian Morrow, Mike Denninger, and Corey Oxman bring you on an exclusive tour through all areas of Antarctica, including the Empire of the Penguin ride and penguin habitat, Expedition Cafe restaurant, and Glacial Collections gift shop. There are two entrances to Antarctica, with the north side the more impressive way to enter through a grand archway. 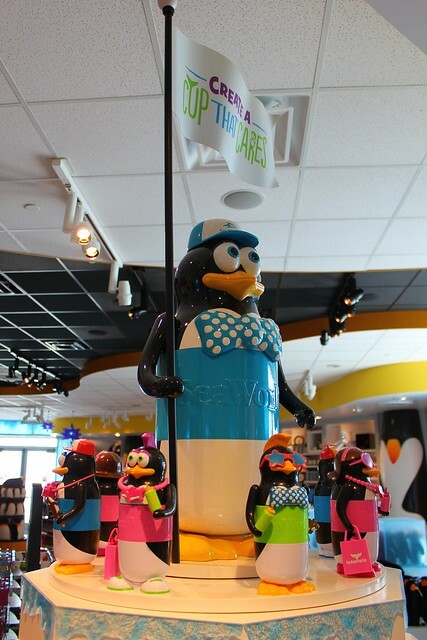 At the realm’s center is a spot that mark the south pole, an excellent photo opportunity for all who visit. 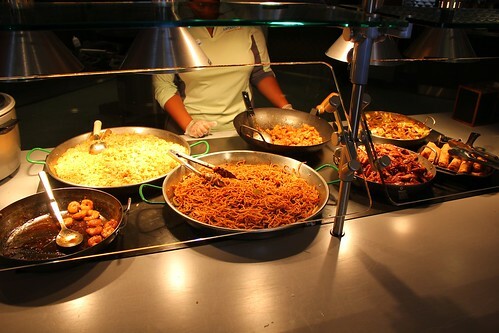 From there, guests may explore the beautiful environment. 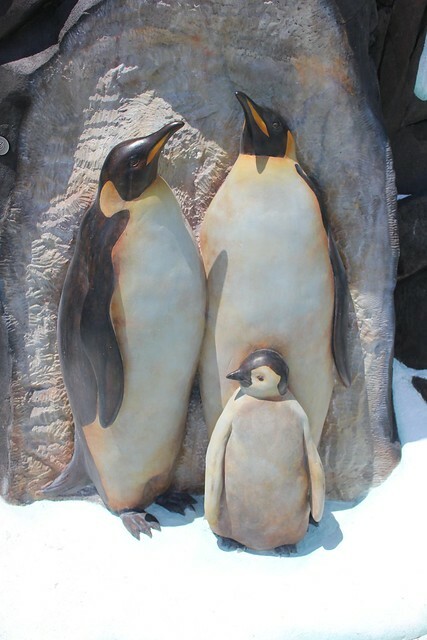 Embedded within the glistening hand-crafted ice are sculptures of penguins, the animal this area pays tribute to. 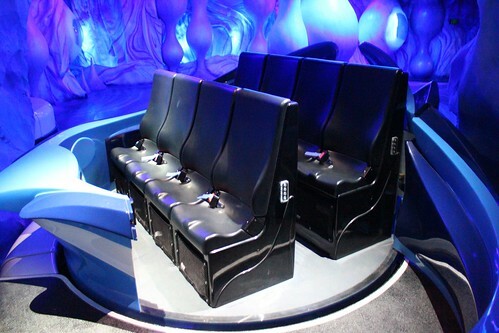 All of SeaWorld’s attractions focus on the environment and nature and in the case of Antarctica, the penguin is the center of attention, particularly so in the new realm’s signature new ride, Empire of the Penguin. 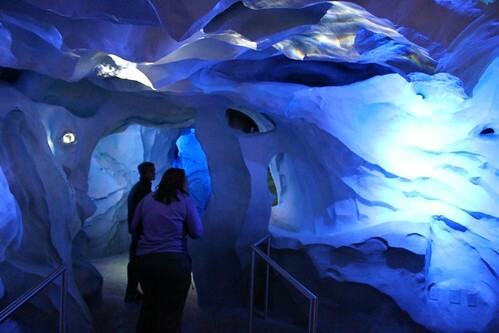 At the heart of Antarctica is Empire of the Penguin, a unique ride featuring a wildly spinning and bouncing trip on trackless vehicles through colorful ice caverns. 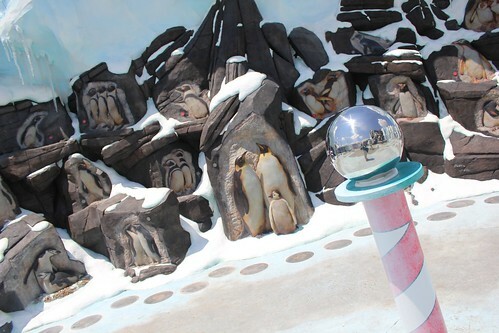 This attraction sends riders on a memorable journey following a penguin named Puck, seeing the icy area as he does through his imagination until reality sets in encountering a few natural enemies. It’s a surprisingly brief family-friendly adventure that’s part dark ride, part motion simulator, and certainly unlike anything else in any Orlando theme park. Take a spin on Antarctica: Empire of the Penguin in the video below, followed by further exploration and explanatio of the new ride and area. 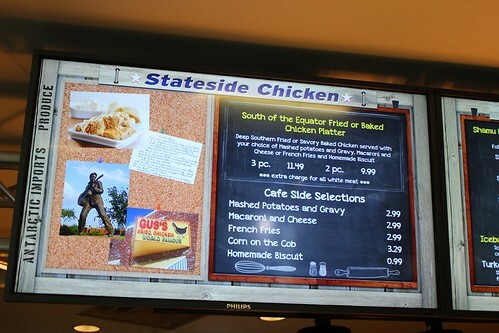 Riders may choose between “wild” and “mild” versions of the attraction. Both versions glide through the same scenes side-by-side, but the “wild” version utilizes the attraction’s high-tech vehicles to spin, bump, and even waddle along with the visuals while the “mild” version just smoothly slides through. The videos above were shot while riding the “mild” version, but show a nearby “wild” vehicle in action. The thrill level is fairly low no matter which version is taken. Empire of the Penguin is certainly an unusual experience. It tells a story through a fantasy-filled first room, loaded with obscure colors and crystalized shapes that vehicles and their riders dance around seemingly at random. It’s pretty, but certainly not what one would expect when traveling to Antarctica, a land of white snow and blue ice as far as the eye can see. 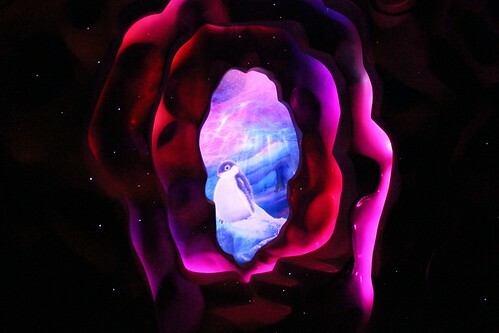 But this world of Puck’s imagination quickly vanishes as the little penguin sets out on his first underwater adventure, which riders witness in the next two rooms, not with audio-animatronics or set pieces but instead of large projection screens. On the “wild” version of the ride, guests waddle along with Puck as he makes his way to the waterside, a cute moment enhanced by strong cold winds blowing through the air. But it’s only a transitional moment as riders quickly find themselves at the heart of the attraction, ultimately boiling itself down to a motion simulator. 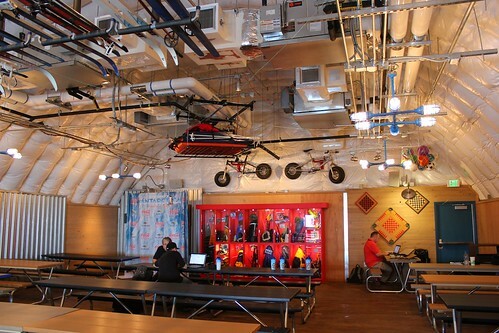 Free roaming trackless ride vehicles lock into place in the room, side-by-side, reducing their functionality to mere bouncing benches. It’s an entertaining journey as Puck evades his foes, but such a high-tech ride system demands more – and so do its passengers. 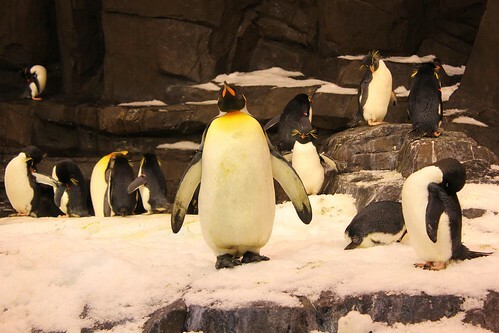 Ultimately the finale reveal of the real penguins in their habitat is the most impressive piece of the attraction, leaving the ride to simply feel like a method of transportation with a few added visuals, rather than a groundbreaking feat of engineering. It’s Orlando’s first attraction to feature trackless technology and while enjoyable and entertaining, the underuse of these impressive vehicles is also underwhelming for those who expect more of the ride that SeaWorld has hyped for more than a year. The ride’s length can actually vary up to thirty seconds between trips. Depending on which of many randomized paths and sequences are chosen and in which vehicles guests load, the experience will be dramatically different, unveiling key moments and visuals at different times. The ride’s finale is definitely best experienced by those who happen to be riding in the first car to enter the final scene. The “coolest” feature of the attraction is one that can never come across via a video or pictures, only by experiencing in person. 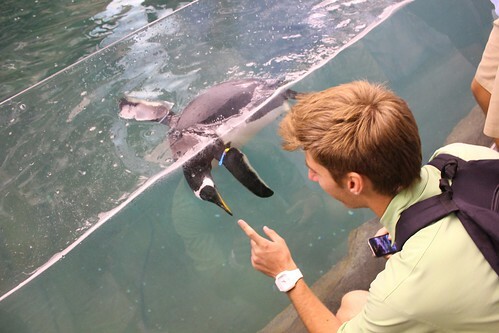 Guests go through an acclimation process to prepare for the freezing temperatures found in the penguin colony. 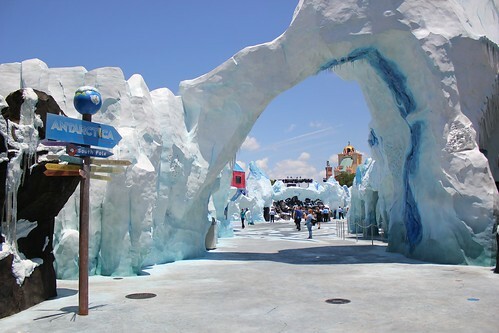 At various stages throughout the queue, pre-shows, and ride, SeaWorld lowers temperature and humidity, ultimately as low as 30 degrees when reaching the penguin habitat. It’s quite welcome on a hot summer day, but guests wearing shorts won’t want to spend a lot of time in that literally freezing environment. 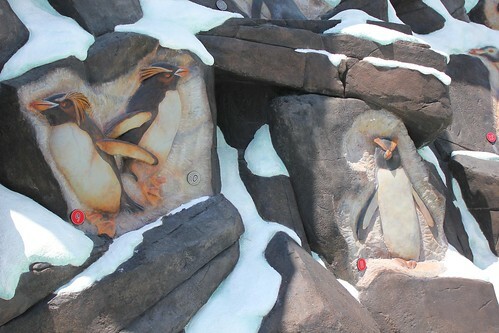 Antarctica’s new penguin habitat features a colony of nearly 250 penguins, including gentoo, Adelie, king and rockhopper penguins. It’s a far better display of the creatures than SeaWorld has ever had before, with no glass and few barriers separating guests from the penguins. It’s about as close as you can get without actually touching them. 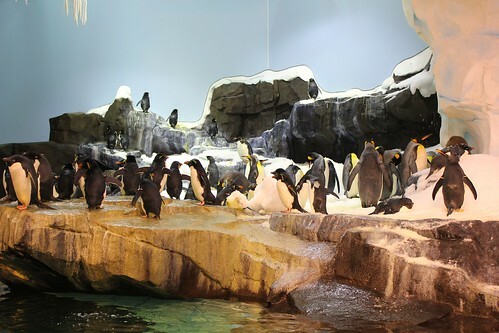 A three-level viewing area with floor-to-ceiling windows enables guests to witness the impressive at the underwater action of these “flightless” birds in the nearly 170,000-gallon saltwater, 16-foot deep, 40-degree pool. 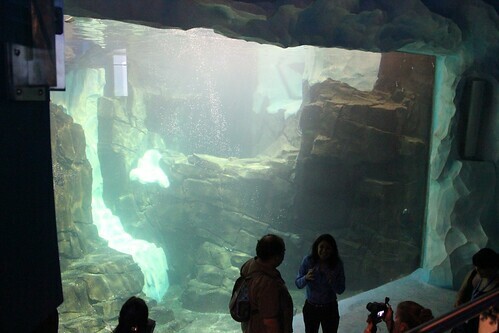 The underwater viewing area is definitely a new highlight of the exhibit. 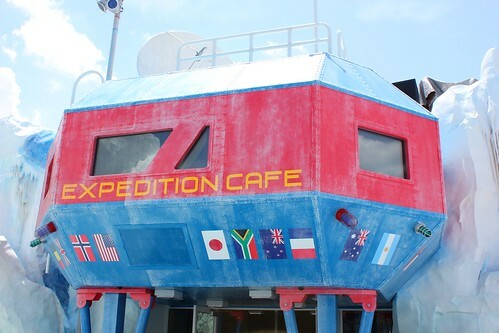 The Expedition Café offers an unusual mix of American, Asian and Italian cuisines – the three major signatories of the Antarctic Treaty in a mess hall setting. 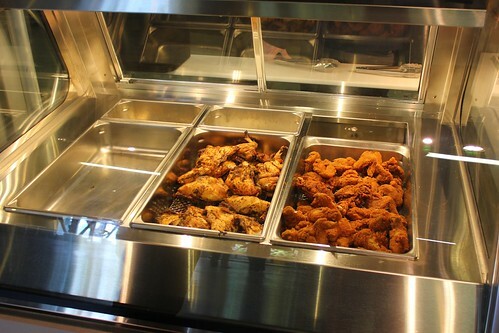 Menus feature a mix of cooked-to-order food and quick-serve options. 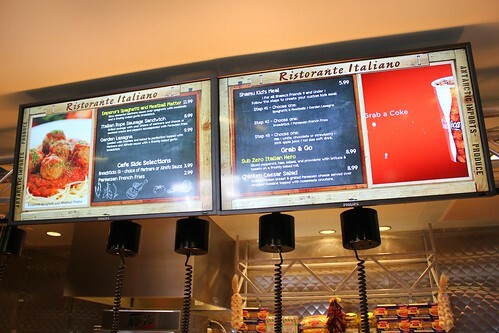 Guests simply walk up to each station, or at their leisure, and pay on the way out. 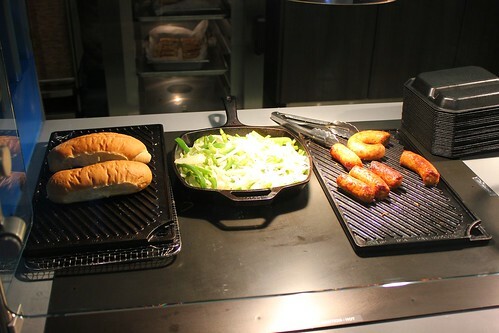 And the food is pretty good too, at quite reasonable prices. 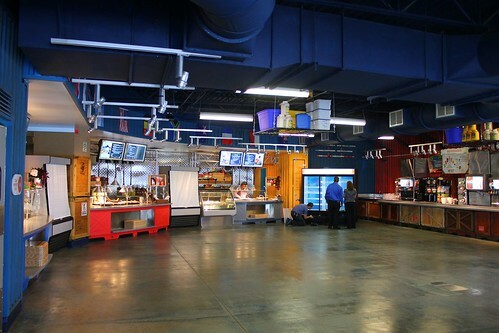 It’s a convenient way to grab some quick eats amidst a unique environment. 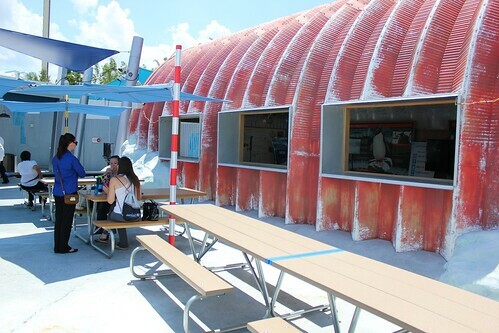 Both indoor and outdoor seating is available, themed to a base camp set up in Antarctica. It feels appropriately makeshift but still comfortable. 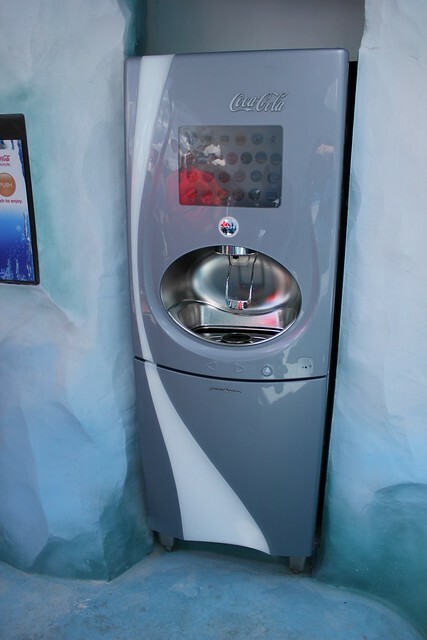 The nearby outdoor South Pole Beverages features a row of Coca-Cola Freestyle machines, each equipped with more than 100 flavors. 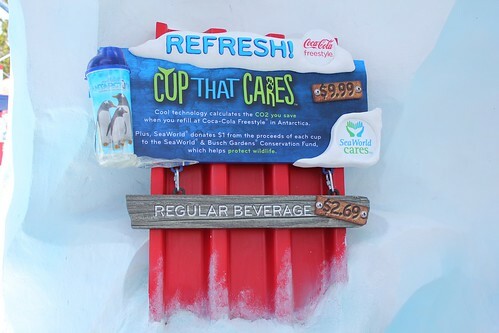 Guests who purchase SeaWorld’s new Cup that Cares can not only enjoy inexpensive refills but also help save the environment, one pour at a time. 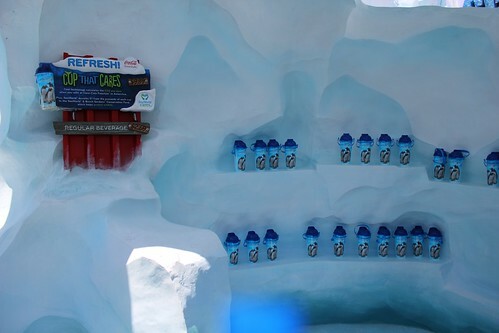 And Antarctica’s exclusive Coke Freestyle flavor called South Pole Chill is a delicious new soda tasting a bit like cream soda, but with a stronger and sweeter vanilla flavor. 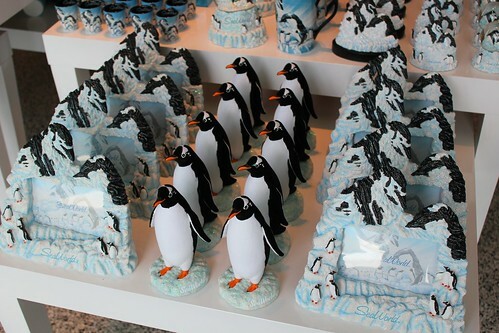 With every penguin gift imaginable, Glacial Collections gift shop is home to all of Antarctica’s souvenirs. 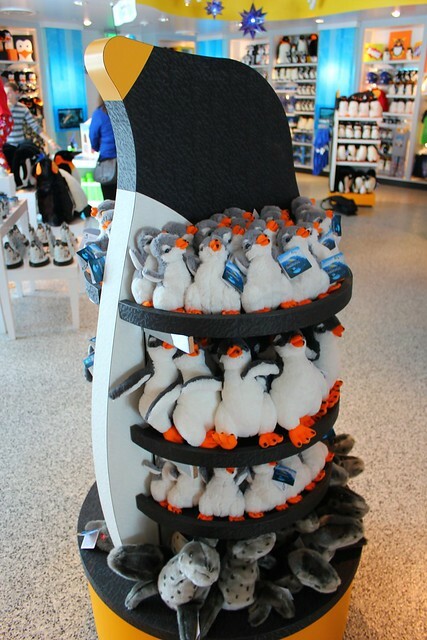 The retail shop’s color scheme of black, bright yellows, oranges and whites, and the penguin-shaped displays welcome guests to browse the many penguin-related items, including plenty of plush versions of Puck. 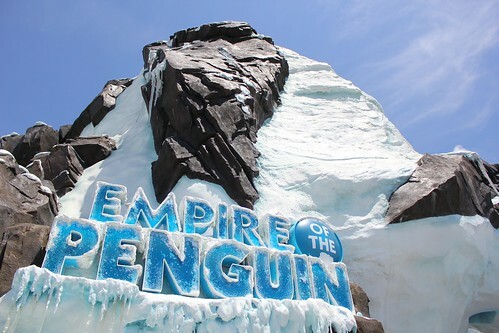 The grand opening of Antarctica: Empire of the Penguin will take place tomorrow morning at 8:45 a.m. featuring a performance by country singer and “American Idol” contestant Lauren Alaina. 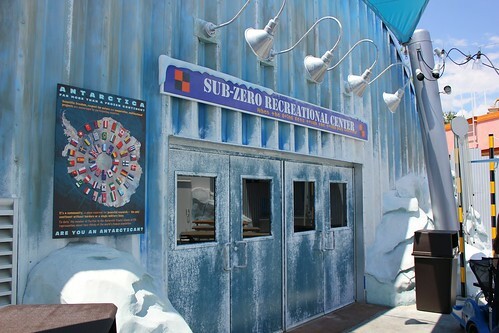 All SeaWorld guests are welcome to attend the grand opening, the first 700 of which will receive a special Antarctica wristband. This is ok and all but where is the Mickey and the Magical map update? Wow… Antarcitca looks great! Ride is a little bit less than I expected. Look forward to seeing it! 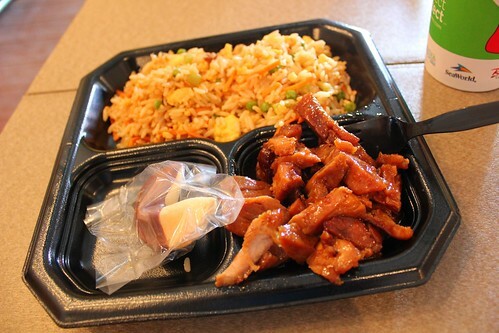 I think a lot of the ride looks pretty cheap and cheesy. And they did absolutely nothing to hide the rest of the park’s visuals, which is disappointing; while in “Antarctica” you can see the green trees and the buildings of other parts of the part. That certainly takes away from the visual feeling of being in a snowy region. Couldn’t they afford a few more bucks to build the ice higher to block out the sightlines? I am surprised they went cheap like that. If Disney did an icy environment, I think they would spend the money to hide the greenery and other attractions from view. I must say that i’m a bit underwhelmed by the ride after all the hype. There seems to be a lot of waiting around and looking at the same stuff, for example the “imagination scene” with the frozen waterfall. 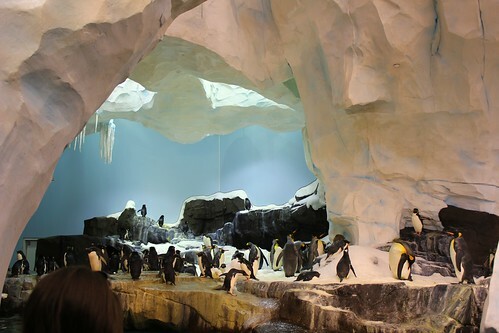 The penguin habitat is amazing however, is there a way to get there without going on the ride? Yes, there is a non-rider line you can go though to go straight to the exhibit….Just bring a jacket! Did you hear about the penguin escaping the enclosure at the opening today? I thought it was funny to see. The ride does seem underwhelming. Hopefully some company in Orlando will use this ride system to it’s full potential. Ehhem Disney! do is look for a web host that can provide you reliability. you may want to hire a third party web designer or developer. We went yesterday. You have to wait in a 2.5 hr line for a crappy ride with unrealistic glittery “ice”, no animatronics, and boring videos all designed by gaudy transvestites with no taste just to see a single real penguin. 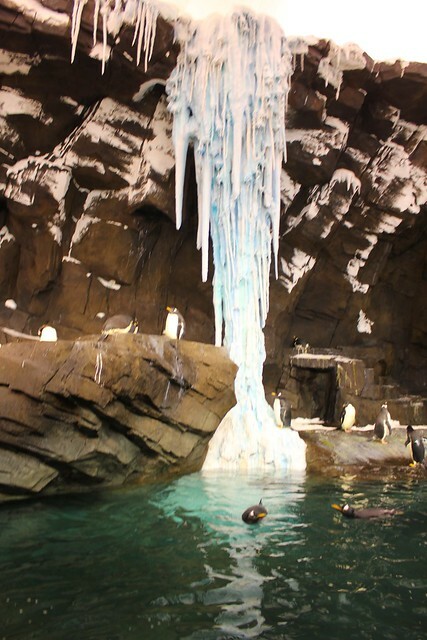 The old penguin exhibit was 100x better. 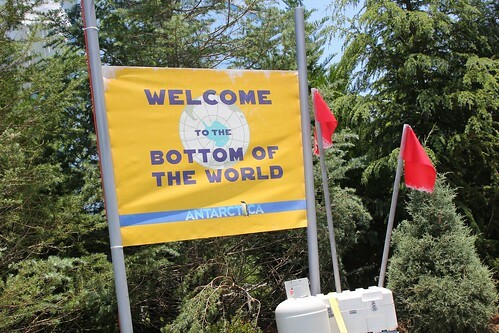 After I first watched the ride portion of Antartica I too was very disappointed having expected much more. I was under the misconception that the attraction was going to be either a ride through or walk through the penguin habitat giving you different perspectives depending on which way you chose. It was the concept promo art that made it look like guests had that choice leading me to my conclusion. Obviously that is not what the final attraction turned out to be. Once I listend to the newest ISTM podcast #425 I was able to have a better understating and better appreciation of this new offering. It is not unlike and maybe even could be considered the sister attraction to Wild Arctic. 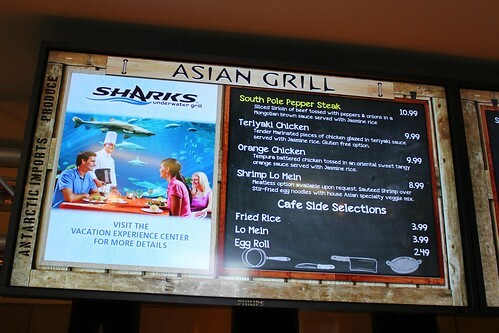 The “ride portion” of both of these attractions is simply a means to immerse the guest into the environment the attraction is portraying by adding a bit of “thrill” but not necessarily being a thrill ride. The ride portion is not supposed to be considered the highlight, but rather the Animals featured in the attraction. 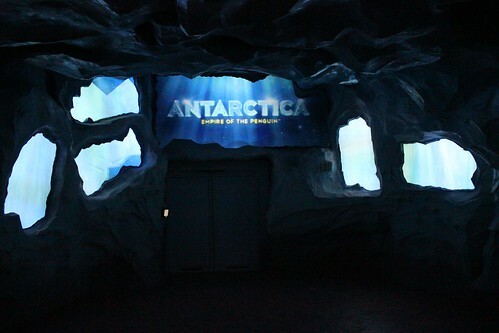 I can now see Antarctica being very similar to the original version of Epcot’s The Living Seas where guests were transported from the pre-show area to the main attraction area via the Seacab ride. Antarctica’s ride seems to be in that same vein. The ride portion of both of those attractions were meant to further the story as well as transportation. One shouldn’t forget that SeaWorld first and foremost is an Animal theme park and the Animals are the attraction, sure they’ve added a few thrill rides over time, but one wouldn’t put it in the same category as a Six Flags or Cedar Fair amusement park as one couldn’t really say it’s in league with Disney or Universal. Heck, it would be a massive understatement to say that Seaworld is similar to an aquarium as much as it would be unfair to compare Animal Kingdom to a zoo. Both of those parks are really in a class all of their own. Now that I have a better perspective and expectation of this attraction I won’t go in with the though that I’m there for the ride, but rather I’m there to see the penguins, and the journey to them is only half the thrill. 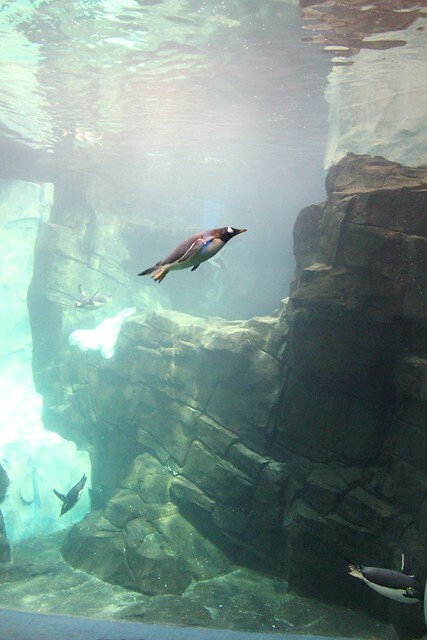 When I visit SeaWorld with friends and family that have no preconceived ideas of the attraction, I will be sure not to call it a ride, but rather the Penguin Habitat. Going in with that mindset will allow for a better experience and a better apprentice for what Antarctica is. 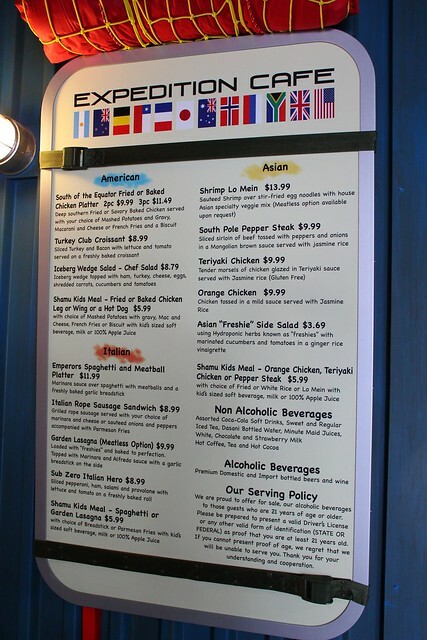 Thank You Ricky for sharing all of this fantastic information for what truly seems to be a wonderful new addition to SeaWorld.